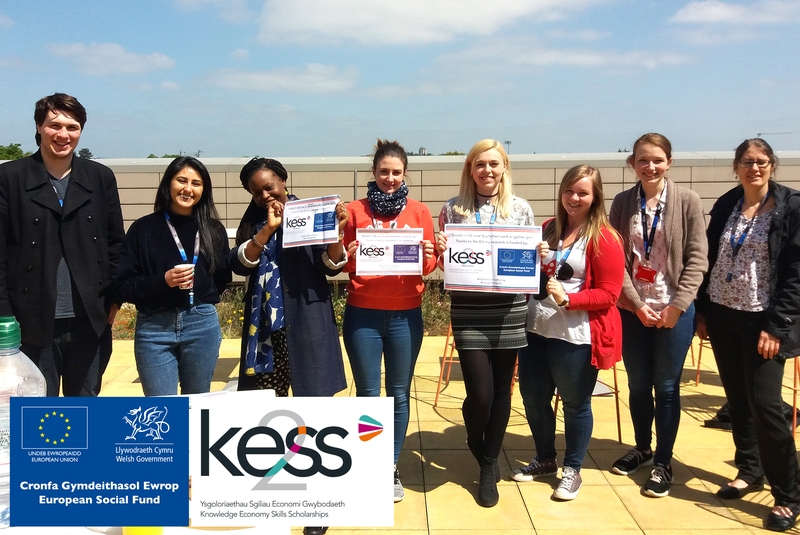 In honour of Europe Day on 9th May 2017, the KESS 2 team at Cardiff University hosted a successful social event at the Cardiff University Brain Research Imaging Centre (CUBRIC). The KESS 2 programme is funded by European Social Funds (ESF) and the event brought together participating students and academics for a lunchtime of networking and discussion. The CUBRIC building, officially opened by the Queen in 2016, made for a fitting venue as it was in itself part-funded by the European Regional Development Fund (ERDF). KESS 2’s Cardiff team seized this opportunity to meet KESS 2 students face to face and introduce them to each other, as well as to students from other EU funded projects. This gave all parties an opportunity to talk to one another about their individual research projects from across various academic disciplines.